My copy of The Cost of Discipleship is filled with underlined passages and notes in the margins, all indications of time where Boenhoffer led me on a mini inner-dialog. I would love to bring those notes and reflections to bear on this review. However time constrains me to deal too much with the content. I have done so a little bit here, in regards to Bonhoeffer’s view of discipleship. As much as I was struck by the message of this book, I was perhaps more impressed by Bonhoeffer’s tone. Bonhoeffer wrote to a church in the crisis of Nazi Germany. Many in the Church capitulated. For others who resisted and chose instead to follow Jesus, the cost was high. Bonhoeffer speaks often of suffering and martyrdom and the Christian life being a life shaped by the cross. He not only wrote about this – he bore this out in his life and death. 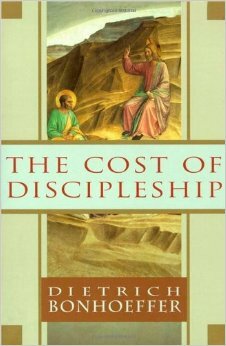 Whether it is because of the crisis in which Bonhoeffer wrote or not the style of The Cost of Discipleship is bold. His language is stark. He loves to draw sharp distinctions between ideas, his most famous being his distinction between cheap grace and costly grace. This draws the reader to a point of internal conflict. Is this distinction really so great? Is there really so much on the line? Is the way really so narrow? Is this cost really so high? He does not often call the reader to decision, he just points out that there is one, and that decision is of utmost importance. The Cost of Discipleship is devoid of the fluff so common in most modern popular books. Bonhoeffer simply says it as he sees it and grounds it all in a rich understanding of Scripture. In fact, most of the book is simply exposition on Scripture. Part 2 is an exposition on the Sermon on the Mount. I hope that a bit of Bonhoeffer’s boldness and style can find its way into my preaching and writing (and even personal conversation.) I so often couch everything I am saying, and sometimes that is necessary. But sometimes I am being soft and cowardly. There are many “talking-heads” today who are “bold,” but they are the bold for their own sake, for their own brand. Their “boldness” is really only added for shock value. It is ultimately empty. Bonhoeffer was not bold in that way. He speaks often of the “hiddenness” of the righteousness of the disciples. A disciple’s good works are hidden from himself. A disciple looks only to his Master, never at his own works. That is the sense I get from Bonhoeffer’s style. He was simply focused on obeying Jesus and the boldness followed naturally. It did not need to be manufactured on its own. In fact, it could not be and still be worthy of praise. It is this kind of discipleship the Bonhoeffer draws our attention to – a single-minded focus on obedience to the call of Jesus – and it is this kind of discipleship that Bonhoeffer lived. 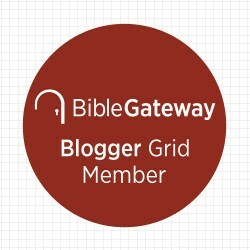 This entry was posted in Book Review and tagged boldness, Bonhoeffer, Book Review, books, Christianity, Discipleship on January 30, 2015 by stevenkopp. I love the next to the last paragraph. May my boldness be for the sake of the Master and His kingdom and not to win the applause of men. http://www.yellowzigzaginsight.weebly.com try my photo images great uses for the great minds little cost choose from cloud formations our words our thoughts and action what creates the clouds and moves through time as our family trees no two images the same balancing our the weather with travelers in time.